Shopping for a used car in Austin, but want to make sure you choose something that fits comfortably in your budget? 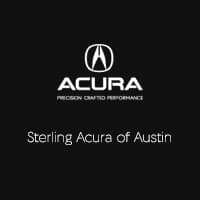 At Sterling Acura of Austin, we have a selection of used cars under 10k. Regardless of your preferences, you’ll be able to find something that suits your needs at a price you love – even if you don’t drive home in a Acura. We want to make your car-buying process as stress-free as possible, so contact us at your leisure if you need any information. Browse our online inventory of vehicles under 10k, and plan your visit from the Buda area. Want to make your vehicle more cost-effective? Consider trading in your vehicle. Clean CARFAX. Silver 2002 Toyota Tacoma PreRunner V6 RWD 4-Speed Automatic with Overdrive 3.4L V6 SMPI DOHC 3.4L V6 SMPI DOHC. Sterling Acura - Exceeding the Standard! All purchases come with free car washes, free shuttle transportation to and from the airport and a free loaner service while your vehicle is being serviced! Recent Arrival! Odometer is 29466 miles below market average!